Here at Sizzor Shak, we strive to find the best ways to pamper and serve our guests. 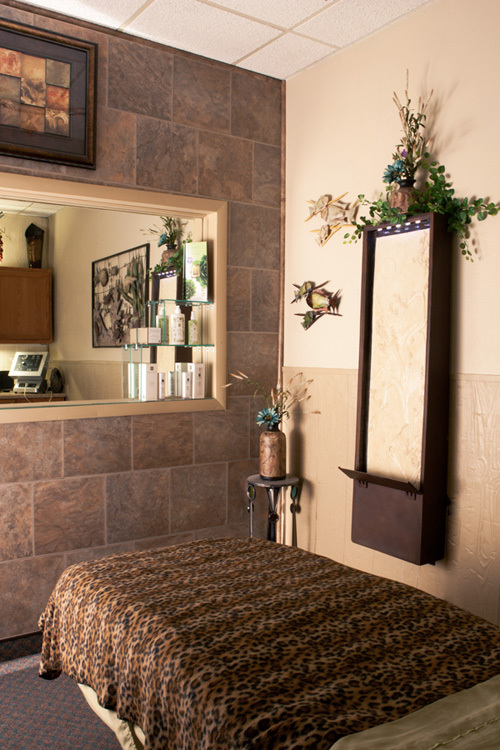 Not only are our services perfect for working on your specific skin needs, they are a great way to spoil yourself. We continually search for new and modern services to offer for your enjoyment. We love watching our guests leave looking glamorous, unwound, and relaxed because of their experience in our salon & spa. If you are looking for a place to leave your stress behind and distract from everyday reality, we have the escape you need. See Elizabeth for your skin care questions & your specific skin care needs. 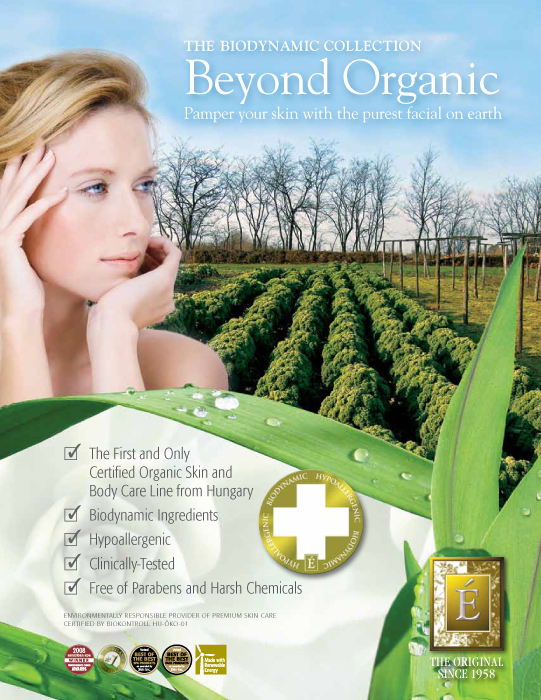 This special organic skin care treatment offers ingredients of various fresh fruits, vegetables, and herbs. You will leave feeling radiant and refreshed. Your skin will have an indefinable glow! This exquisite facial includes highly active organic peel that will give your skin clarity and increase circulation with amazing anti-aging benefits. Sure to meet the demands of every man’s skin by using non-perfumed, non-greasy, natural and organic products. This facial ensures a relaxing experience while keeping the skin in optimal condition. Our organic products are applied and massaged with hot stones to boost hydration and the healing benefits which will leave the skin silky, clear, and naturally beautiful. This deep cleansing facial is ideal for those suffering from oily, congested, or blemished skin. This treatment offers great exfoliation, hydration and deep pore cleansing using tangy fruits and healing herbs. This soothing treatment using rosehips which contain high quantities of Vitamin C, will help repair and calm irritated skin. Your skin will be gently exfoliated and nourished leaving a dewy complexion. This facial includes fruits, flowers, and herbs custom blended for your skin type. Perfect for anyone who is on-the-go but wants to revitalize their skin, giving your face a tasty tune up to insure a beautiful glow. Polish away dull skin and smooth out fine lines with our diamond tip microdermabrasion treatment. This exfoliation treatment will help stimulate new cell production and give your complexion an instant boost. This facial is designed to smooth fine lines and wrinkles with a low-light infrared laser. Also, the high-intensity blue laser helps to kill bacteria on the face, such as acne, rosacea & eczema. This facial is perfect for teens who are trying to clear up their skin and even out their skin tone. This laser treatment will kill bacteria in the skin that causes acne, rosacea & eczema. We offer a variety of professional organic peels that can be customized towards each client’s skin type and special needs. 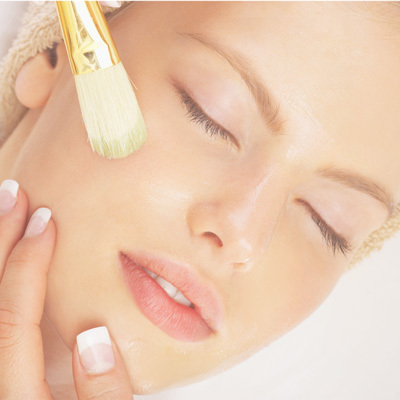 *A peel can also be combined with any facial on the menu for an additional charge. Frame your face with an eyebrow arch and it can minimize your crows feet in one pampering session. Our eye brightening treatment will give your eyes a youthful radiance and a lovely shape to your brows. Relax with hot stones. The perfect add-on to any facial to help your muscles and mind unwind from stress. Proven to remove toxins, body wraps are perfect for jump-starting a diet, smoothing cellulite, slimming inches or even just a general exfoliation and a deep moisturizing of your skin.